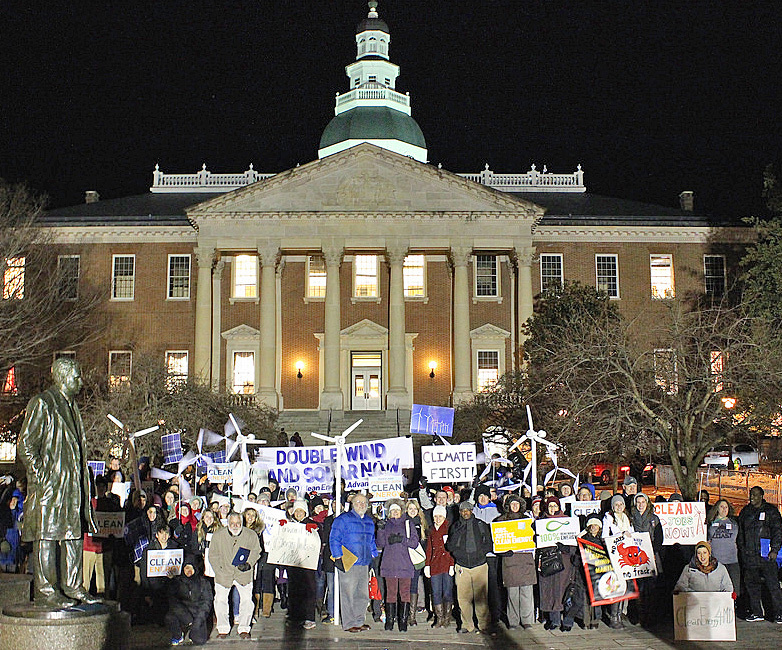 UULM-MD, a member of the Maryland Climate Coalition, supported the Maryland Clean Energy Advancement Act of 2015, SB373/HB377. This legislation would have increased the minimum percentage of energy supplied to Maryland consumers that must come from clean, renewable sources to 25% by 2020 with an aspirational goal of 40% by 2025. The bill was given an unfavorable report by the Senate Finance Committee, but we expect similar, revised legislation to be introduced in 2016. Clean Energy is a social justice issue. Low-income people and people of color are disproportionately harmed by the increased health costs and the decrease in good-paying jobs. Based on the U.S. Department of Energy's Jobs and Economic Development Indicator, this legislation would incentivize nearly 1,600 new Maryland jobs per year in the solar industry and substantially more in the wind industry. In 2015, UULM-MD is supporting the Environment-Hydraulic Fracturing-Regulations, SB409/HB449. This legislation would prohibit issuing a permit for hydraulic fracturing of a well for the exploration or production of natural gas until April 30, 2023 and until certain requirements have been met, including information on the human and environmental consequences of the natural gas drilling process known as "fracking." The bill was amended in committee to extend the moratorium until October 1, 2017. No wells--including exploratory ones--can be drilled in Maryland prior to that date. Governor Hogan allowed the bill to become law without his signature.